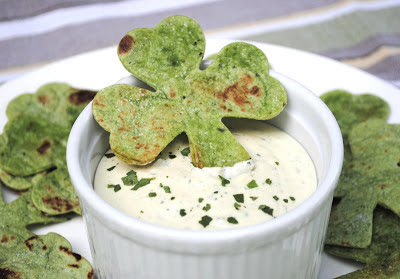 There are so many last-minute things you can do for a St. Patrick's Day party using green food coloring. Of course green beer is a must at a St. Patrick's Day party. You'll want to use a beer that is very light in color to get the right shade of green. For dessert, any number of baked treats can be made green for St. Patrick's Day. Simply start with white cake mix and add in green food coloring until you get the shade you want. A neat little trick for some pretty St. Patrick's Day decor is to use green food coloring mixed with water in a vase of flowers to give white flowers a green tint. Here is a tutorial for dying flowers with food coloring. One can never have too many cupcakes. Until one finds oneself with a tummy ache.